About Paiwen Board Sports Inc.
Paiwen Brand (Since 2009): To us, Stand Up Paddleboarding is a new way of living. Experiencing our planet from a healthy perspective, within the tranquility of nature. Silently gliding through water, letting our thoughts roam. Paddleboarding is our magic carpet ride to a fulfilled life. Paiwen Culture: We strive to give you the best customer service possible. We want your experience with Paiwen to be a WOW experience, something positive, something to remember. Paiwen Pipeline: Our products are created and treated with love. The Paiwen team is made up of passionate people who believe in our Brand and Culture. From an idea to your door, the people from Paiwen do their best and take great care. Our mission is to design and manufacture the best all-around StandUp Paddleboard Package for Women in the world and to build a healthy lifestyle around it. Paiwen Board Sport Inc. was founded in 2009 and is run by women and a couple guys :) Our main office is located in beautiful Vancouver, BC, Canada. Surrounded by the ocean, lakes and mountains. SUPing is a relatively new sport and women are taking it up by storm. However, most companies haven’t been designing for women SUPers in mind from the beginning. We started Paiwen Stand Up Paddleboards knowing that women are who we want to cater to from the beginning and forever. This gives us the opportunity to pin-point our effort to the needs of women. Women's body types, riding practices and even styles are our focus. At the same time, we are on an adventure to promote the sport to women all over the world by traveling, stand up paddleboarding, meeting up with paddleboarders, taking photos and creating videos. Encouraging a healthy lifestyle through Stand Up Paddleboarding. Growing up on the little island of Taiwan, Alice had big dreams for adventure on foreign shores. To make her dreams possible, her parents worked hard and put aside their savings so she could go to school in Canada. As difficult as it was to let their only daughter venture alone into the big world, they wanted her to be happy and encouraged her education. Arriving in Canada as a teen, Alice fell in love with B.C., where she completed university. It was the first time in her life when she could freely take part in sports without worrying about her parent’s approval or protection. As a kid, Alice had secretly joined the track and field team at her elementary school because she knew her parents wouldn’t approve. Once in Canada, outdoor activities and sports became her way of self-expression and freedom. 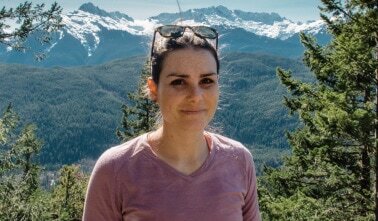 After moving to Vancouver and building a career in commerce and logistics, Alice knew she wouldn’t be happy working in an office forever, her childhood dream of adventure was still alive. She decided that she would pour everything she had into combining her love of the outdoors with her background in marine technology and commerce. After discovering Stand Up Paddleboarding in 2007, she made it her life’s mission to share the adventure and freedom paddleboarding offers and to design a light, feminine board that was perfectly tailored for women. In the six years since founding the first women's-specific paddleboard company with her husband and adventure partner, Toni, Alice has made waves in SUP communities around the world. Working with world renowned paddleboard shapers, refining the perfect sup for women; At the same time, connecting with other paddleboarders, and collaborating with fitness and yoga instructors to push the limits of conventional stand up paddleboarding. In 2012 she was the winner of SUPConnect.com "SUP Women Of The Year People's Choice Award". Alice has endless passion for the sport and a commitment to build beautiful, high quality boards to suit women’s body types, riding practices, and styles. The company is built on her personal belief in attaining a healthy lifestyle through stand up paddleboarding. Born and raised in the Okanagan Valley, Kate Watson is a homegrown BC girl! She is a mother to three amazing children, Zoë, Téa and Liam, wife to an amazing man Eli and entrepreneur in the health industry as Co-owner of NEUmovement Pilates, physiotherapy, yoga, Barre and NEUspine Wellness. Kate has always had a deep passion for adventure and sports, and after a long day it is what glues her together. You can catch her downhill mountain biking, playing hockey, snowboarding or most recently playing on the SUP! As a Pilates instructor and yoga enthusiast, taking her practise to the water just made things more interesting and challenging. "Your balance has to be in check the whole time, and you feel as free as a bird!" Kate loves being outside and in nature, places that seems to spark ideas for her and connect her to family time. "If you want to connect, get outside and take an adventure." 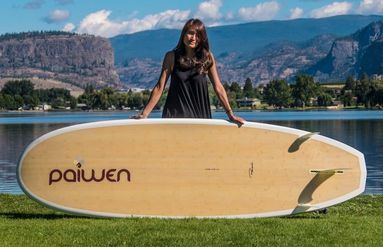 Kate is so excited to be a part of Paiwen Stand Up paddle boards, a company she can stand behind because everyone at Paiwen is about adventure, fun and connecting. "I believe you have to be who you are and align with those who bring out the best in you.... Always!" Find her on Facebook at Kate Watson or follow her on Instagram @pilateskatewatson to see all the family adventure, travels and fun! hard to follow her ambitious dream, and with help from her family and friends,has achieved solid success in her chosen path in life. Check Out Tim-Mei's Interview By Clicking Here! Chantal has been practicing and teaching yoga for over a decade, and believes that yoga should be, first and foremost, fun! So, it’s no surprise that when she started paddleboarding after getting her first Paiwen SUP that she brought the same enthusiasm to the sport. Check Out Chantal's Interview By Clicking Here! Nikki is a certified SUP and SUP Yoga Instructor with SUP Vancouver. She love all outdoors activities and grew up biking, skiing, kayaking, sailing and playing on windsurf boards with canoe paddles. She has been paddle boarding for two years and practicing yoga for six. She is happiest in the woods or on the water, and believes in the physical, mental and emotional benefits of an active outdoor lifestyle. She also loves dogs, (you can follow her dog Beacon on beaconbeaudoin, and has volunteered for theVancouver Chapter of the Surfrider Foundation with beach clean-ups and the Snowrider Project. Nikki lives and plays in North Vancouver and works by day in communications and public relations. Alison grew up loving to push the boundaries with sports. She began competitive snowboarding at age 16, ran her first marathon at age 20 and last year competed in the Oliver Half Ironman. It is her love of education and teaching that has made her a prominent member in the Vancouver fitness community for almost 20 years. Alison believes that a healthy, fit and active lifestyle can be done anywhere, at anytime, and by anyone. If she can assist in someone's journey or add another dimension to how to make sweating fun, she is stoked. Alison loves stand up paddleboading because it offer an escape from the crowded gyms and gets her out on the water. There is nothing Alison enjoys more than gathering friends together for a paddling session (the workout is an added bonus!). Growing up surrounded by the ocean and lakes on Cortes Island, B.C, it's no surprise that Kate has an affinity for water sports and outdoor adventure. She spent the long summer days of her youth swimming, kayaking, hiking, and biking around the island. After graduating from the University of Victoria with a degree in English and Art History, Kate returned to her favorite city, Vancouver. In her free time she can be found at local farmers markets, mountain biking, and paddleboarding with the Paiwen team. Kate has written for the Maritime Museum of B.C., the Bowen Island Undercurrent, and the Vancouver Observer. Toni and Alice have been together since 1998. His life is surrounded by active people and healthy environments. He began paddleboarding on old windsurfers with home made paddles before SUPs started being manufactured. Today you will ﬁnd Toni on the water Surﬁng or Stand Up Paddleboarding every chance he gets. With a lifetime in film and action sports media under his belt, Toni helps explain the Paiwen Brand through imagery and sounds. 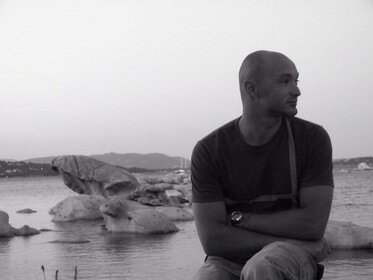 With his experience and creativity Toni has been one of the major drivers behind Paiwen. Toni's goal is to make ideas into reality. 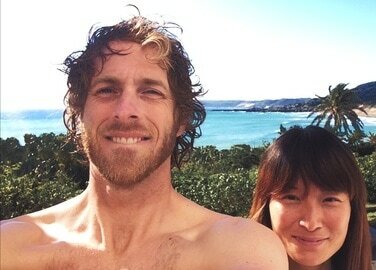 Toni along with his wife Alice, plan to continue globe trotting with their paddleboards in tow. If Karl could spend every day on the ocean he would. His love of water sports began as a young adult, earning three gold medals in rowing at the Canada games. As an avid surfer and kite boarder, it was no surprise that when he discovered SUPing he was hooked right away. Driven by his entrepreneurial spirit and enthusiasm for the sport, he set out to help Toni and Alice create a paddleboard with the perfect combination of power, speed, strength and flexibility. A medical doctor and spine specialist, Karl brings a unique perspective to the sport. Surrounded by lush forests and the Pacific ocean on Vancouver Island, B.C., his mission and combined objective is to inspire people to get outside to appreciate the natural wonders around them. In his practice, he promotes the prevention of pain, cardiovascular disease, anxiety, depression, ADHD, and a multitude of other medical conditions through active lifestyles. In his role with Paiwen, Karl combines his passions of health and sport. He continues to travel—from the west coast of BC to South Taiwan to the mountain ranges of Europe—in search of the ultimate SUP oasis. good to practice a lot of aquatic activities because it helps him to understand how each board shape interacts with the water. Have a look at his work on the Paiwen SUP shape Here.